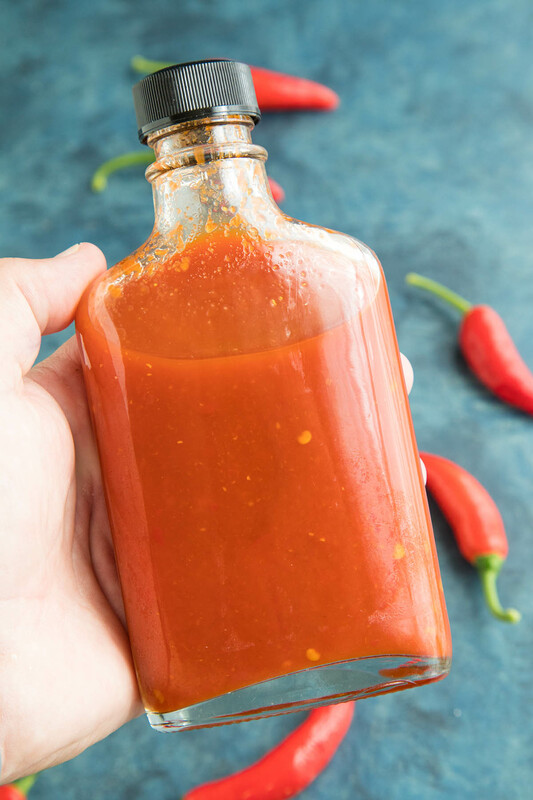 Learn how to make classic Sriracha hot sauce at home with this recipe, either with fresh or fermented chili peppers. It’s so easy and tastes better than anything from the grocer. I love homemade Sriracha hot sauce. It’s sriracha time, my friends, so get your taste buds ready. I don’t think there is a whole lot I can tell you about sriracha sauce that you haven’t already heard. 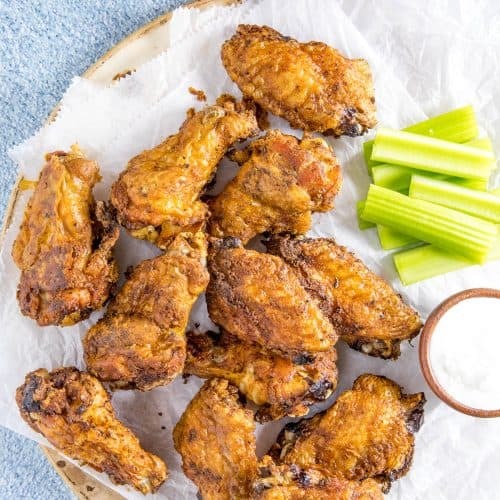 Sriracha has seriously taken the nation by storm in the last 5 years or so, overflowing from grocery store shelves and finding its way into a myriad of mass-made products, from potato chips to beer. It’s everywhere, isn’t it? It’s so ubiquitous now here in the states, it’s practically become synonymous with the term “hot sauce”. This is not a bad thing! I should provide a bit of history, though. 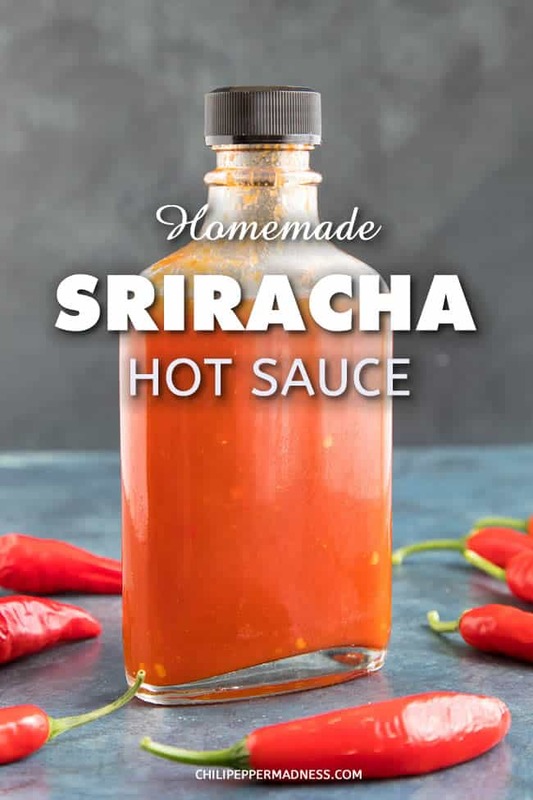 Famous “Sriracha” sauce is named after the town of “Sri Racha” in Thailand where it originated, but this is not what we consume here in the United States. The stuff you get from the store is produced in California with red jalapeno peppers and has deviated quite a bit from the original Thai recipe. The sauce we get here is thick, like ketchup, where the original has a thinner consistency. 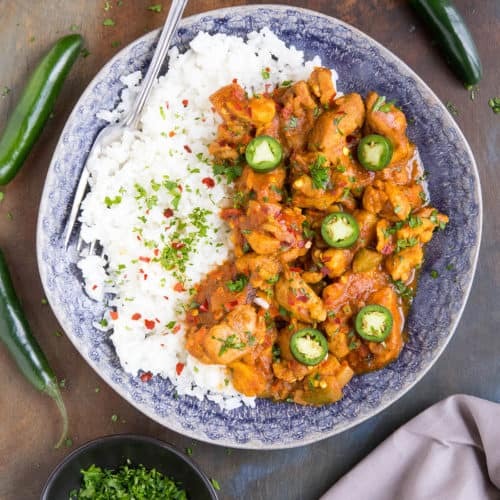 This recipe will produce a Sriracha sauce closer to what was originally intended, though you can easily thicken it up with more peppers and less vinegar, or adjusting your cooking times. What Types of Peppers Are Used for Making Sriracha Sauce? Here in the United States, red jalapeno peppers are used to make sriracha sauce, though Fresno chili peppers make a fine substitute. You can also use red Thai chili peppers to make your own sriracha hot sauce. Realistically, you can use this recipe and techniques to make a sriracha-style hot sauce from any type of chili pepper, though your results and tastes will vary from pepper to pepper. 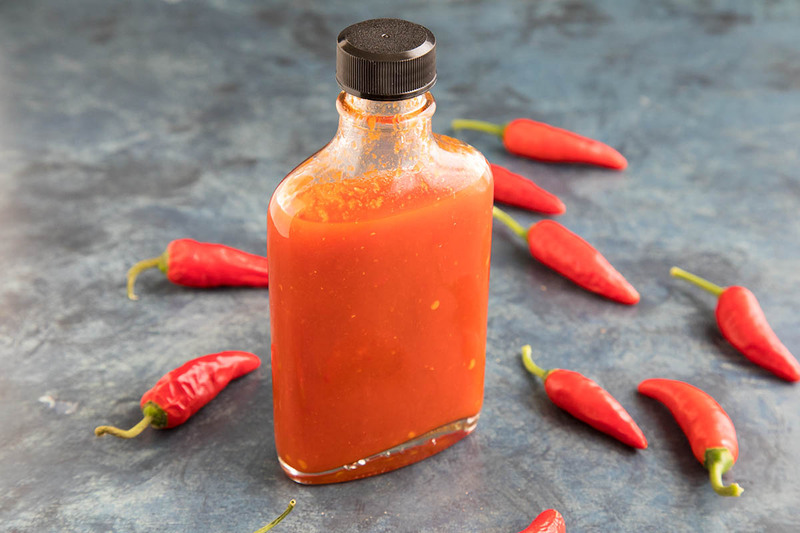 Of course the heat level of your sriracha sauce can vary based on your pepper choice, but some peppers have thicker walls and are therefore meatier, and will produce a fuller sauce. I suggest going with red jalapeno peppers first, then experimenting from there. For this particular batch, I used a combination of different hot red peppers grown in my garden, including red jalapeno peppers, and the results were out of this world. So delicious! You can make your own sriracha sauce at home with either fresh or fermented peppers, though I suggest fermenting. I have made this both ways and prefer the fermented version. 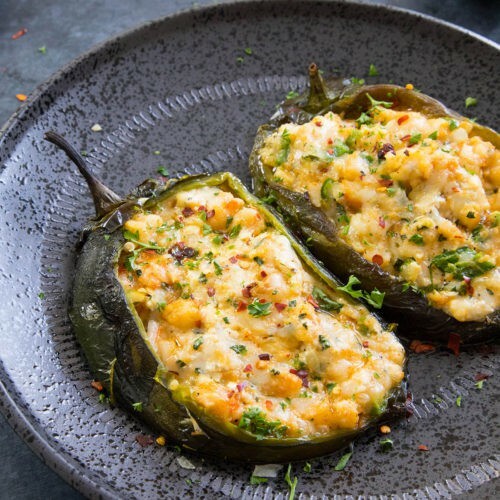 Fermenting the peppers breaks down the carbohydrates and converts them to acid, which mellows the peppers considerably, affecting the overall flavor. I suggest trying the recipe both ways, with and without fermenting, and see for yourself which version of sriracha you prefer. I’ve include recipes below to make sriracha both ways. 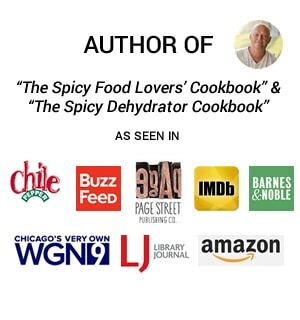 For your reference, you may find this link useful: How to Make Fermented Pepper Mash. Yes, there is an obvious difference between the sriracha you get from the store vs. your homemade version. 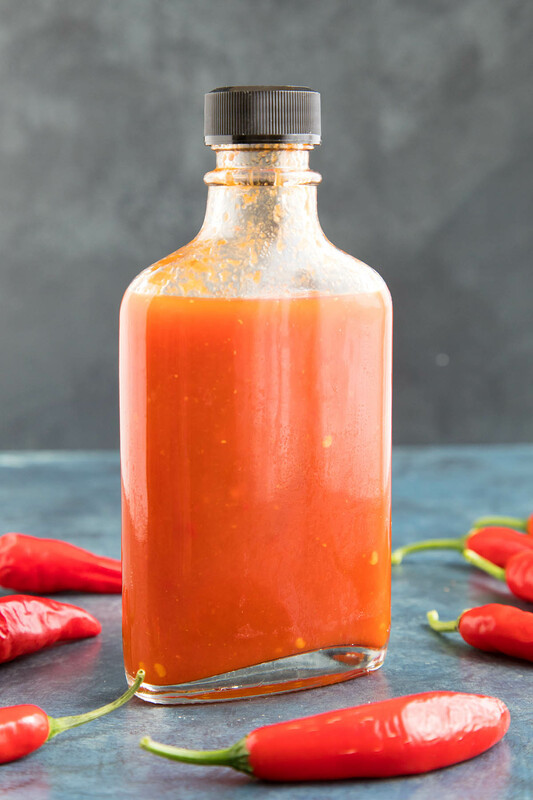 The homemade sriracha has a thinner consistency and isn’t quite as sweet, though you can adjust sweetness easily by adding more or less sugar. You can also adjust the thickness of your final sriracha sauce by adjusting the amount of peppers used in the recipe, by adjusting the amount of vinegar used, and also by adjusting your cooking time. Simmer the sauce longer to thicken it up if you’d like. The choice is yours. Would I say homemade sriracha is BETTER than what you get in the store? Personally, I like my own homemade version better, but I wouldn’t throw away my bottle of Huy Fong’s rooster sauce! I mean, major KUDOS to David Tran for giving us a sauce that made Americans realize there is more to condiments than ketchup and mustard. Bring on the sriracha, please! What is a Substitute for Sriracha Sauce? 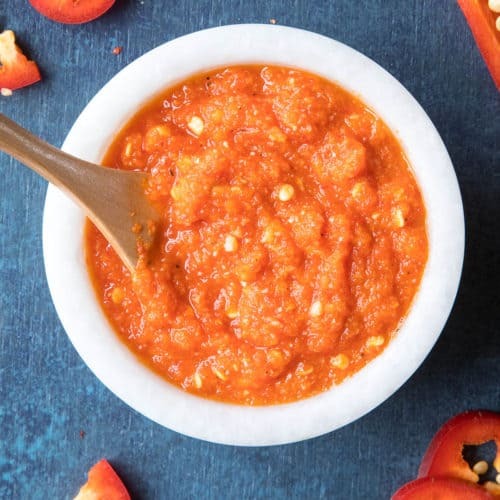 If you run out of sriracha sauce and need a good substitute, you can use a good Garlic-Chili Sauce, or consider using Gochujang, Sambal Oelek, or making your own fresh chili paste. Harissa could work in a pinch, but you can always use a Louisiana Style Hot Sauce in place of the sriracha, depending on the recipe. I find them locally sometimes, but I also order through Amazon. Here is a link to some bottles I like (affiliate link, my friends! ): Swing Top Glass Bottles, 8.5 Ounce – Set of 4 . If youlike the smaller bottles that most hot sauce makers use, here’s another link: Hot Sauce Bottles, 5 Oz – 24 Pack . Can I process this hot sauce for longer storage? Absolutely. Just be sure to use proper canning/jarring safety procedures. Wow, this really does taste different from what we get in the store. It is definitely similar, close in flavor, but I like this version so much more. 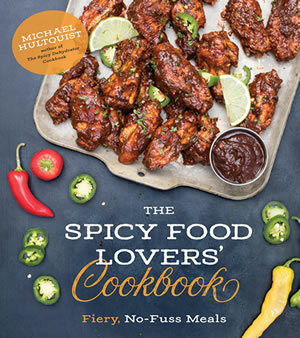 Check out more Hot Sauce Recipes. 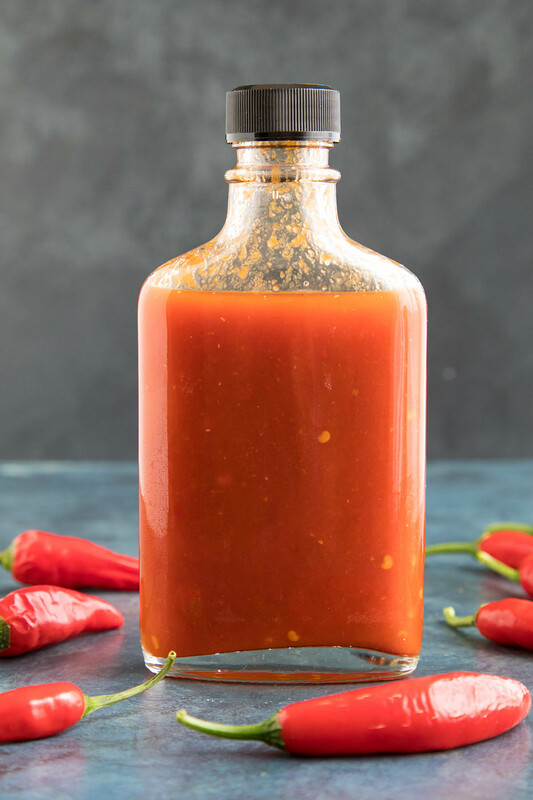 Learn how to make classic Sriracha hot sauce at home with this recipe, with fermented chili peppers. It’s so easy and tastes better than anything from the grocer. I love homemade Sriracha hot sauce. First, ferment the chili peppers. Process your fresh peppers in a food processor. If you don’t have a processor, use a mortar and pestle or simply finely chop them. Pack them into a jar, leaving at least 1 inch of head space. The peppers may rise a bit when fermenting. Screw on the lid and set the jar away from direct sunlight to ferment for at least 1 week. Ideal temperatures are between 55-75 degrees F. The most active fermentation period is between 1-2 weeks, so be sure to monitor it during this time. “Burp” the jars often by unscrewing the lid a bit to let out some of the accumulating gases. Or, use an airlock or membrane for easier fermenting. See our page, “How to Make Fermented Pepper Mash”, for further instruction. Pour the fermented peppers, including brine, into a pot along with the garlic, brown sugar, granulated sugar and vinegar. Bring to a quick boil. Reduce heat and simmer for 5-10 minutes to reduce a bit and let the flavors meld. Cool slightly then add to a food processor and process until smooth. Strain the mixture to remove the solids. Pour into hot sauce bottles and enjoy. Prep and Cooking times do not include the 1-2 weeks of fermentation time, so keep that in mind. Makes about 2 cups of sauce or so. For storage: Vinegar affects acidity levels. 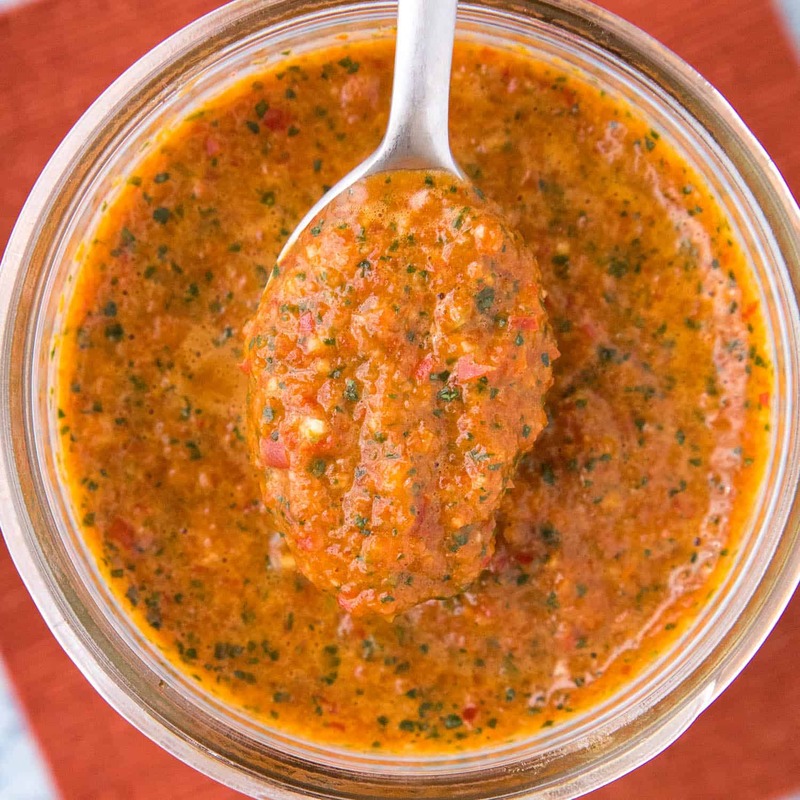 Homemade sauces should be kept at 4.0 ph or below to keep longer term. If your hot sauce is not acidic enough, add more vinegar to bring the ph down. Keep in the fridge for freshness and longer keeping. You can also bottle your sauces with proper procedures. 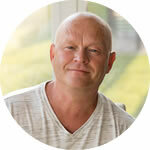 Bill, to make an unfermented version, start with adding the fresh peppers and other ingredients first to a food processor. Process until smooth. You can strain out some of the pulp if you’d like for a smoother sauce. Then, simmer the sauce about 10 minutes to cook through. Here is a recipe to follow for Superhot Sriracha, but just use the red jalapenos or Fresnos for a milder, more common version. Enjoy! Let me know how it turns out for you. Hi Mike, thanks. I screwed up because I only had a handful of thai chilis and I added garlic sugar and vinegar then processed and THEN simmered it ….got the directions reversed. Anyway the result is an extremely hot concoction that looks a lot like your garlic chili sauce. I will add a pin head’s worth to anything that needs heat, and try again later. Are red jalapenos just more mature green ones? I’m in a smallish city in Canada and all I can get are the green ones. Thanks again! Bill, sorry to hear. You can always reprocess the batch and mix it with another milder batch to balance it out. Yes, the red jalapenos are more mature. Thanks Mike I’ll get it eventually! I fermented the chillis no problem, but the sauce and the vinegar separated after I bottled it and its water thin. Andre, you will often notice some separation. I believe you may have strained out too much of the pepper content. Let me know. 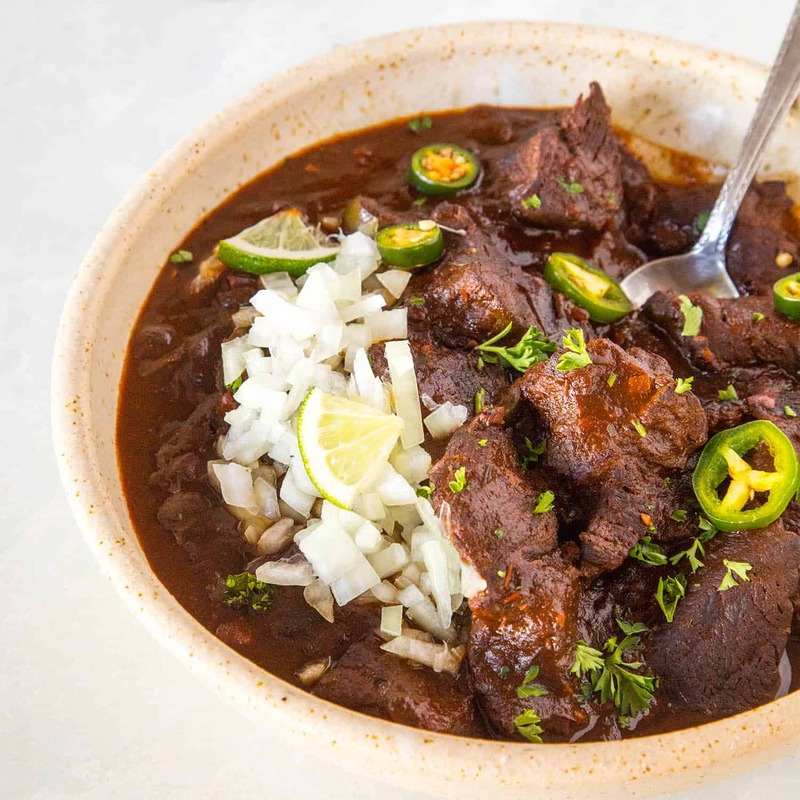 I made this recipe recently with fermented home grown super chilies. After staining the solids, the sauce was as thin as water. Great flavour and heat, but how can I thicken this into more of a sauce? David, you can always add some of the strained pulp back into the sauce to give it more body, or try straining the whole mix with a sieve that isn’t quite so fine. You can also save the pulp to use in other recipes. I particularly like to dehydrate it and use it as seasonings. 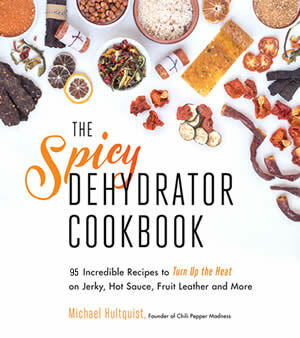 See my post on How to Dehydrate Chili Peppers and Make Chili Powders. There’s plenty of life left in the pulp! I hope this helps! Josh, you don’t need the vinegar, but check your final acidity if you want to keep it longer. It should be 4.0 or below, 3.5 ideally. I’ve made this many times and love it with the vinegar. I’m wondering if I can make Sriracha with reconstituted chipotles in it? I was thinking about 85-90% fresh peppers and the rest the reconstituted chipotles. I would also use the water from reconstituting as part of the brine water. My biggest question is will the chipotles effect the fermentation process? Maureen, you can ferment dried pods. I would totally try this. Let me know how it turns out for you. Every time I try this the peppers float to the top leaving an inch or so of brine at the bottom. How can i make sure they stay covered? The last time i had some mould on one of two jars, i dont think it was the white yeast film, and as i don’t do any other fermenting I cant help be nervous. Paul, I use a small glass weight to keep the peppers pressed down in the jars. It works the best for me. Some people use a large cabbage leaf. You don’t think the mold was kham yeast? Kham yeast is common and can just be wiped away from the top. I would scoop away the mold and inspect the ferment with all of your senses. Does the ferment smell bad or off? Does the brine taste very bad? It should be acidic and a touch bitter. Do you see actual rot? These are things to look for. Can the bottles be processed in a hot water bath to extend shelf life? Preservatives? Roger, absolutely. You don’t need preservatives. Check the ph of the finished hot sauce. It is ideal at 4.0 and below, which is acidic enough to preserve it. I keep mine in the refrigerator for extended life. Enjoy! i’m living in Vietnam and every grannie at my local fresh food market has home made sriracha for sale. i go there a lot and like to sample the offerings of a different vendor each time. now every time i go there they are pretty aggressive flogging me those old used water bottles full of orange sauce. i think i may have started a trade war! That’s interesting! They must realize Americans go a bit crazy for their sriracha. I wish I could try some of those from Vietnam! Does the boil at the end mess with the “pro-biotics” you got in the fermentation? Can you skip the boil if you ferment? Dru, you don’t have to cook fermented peppers. They can be eaten as they are, just like other fermented foods. The cooking melds everything, but not necessary for consumption. Let me know how it goes.